The Wisconsin lakefront is quickly becoming my favorite summertime gulling locale. This past weekend, I was joined by both Ethan Gyllenhall and Alex Hale for what turned out to be an 8-species day. We covered Manitowoc, Sheboygan and Port Washington. 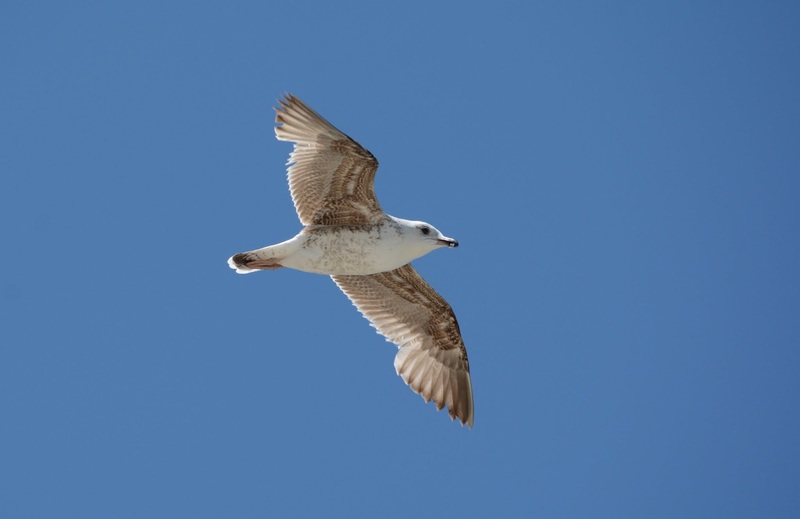 Manitowoc provided us with a 1st summer Little Gull with a half-hood. Amazingly, Charles Sontag observed 7 here the day after. Little Gull (1st cycle). Manitowoc, WI. 08 June 2014. Sheboygan was absolutely amazing! We enjoyed a fully-hooded 1st summer Little Gull (the bird I reported a couple of weeks prior from Manitowoc, click here for photos of that bird). Other goodies included a 9 Lesser Black-backeds (six 1st cycles, one 2nd cycle, two 3rd cycles). 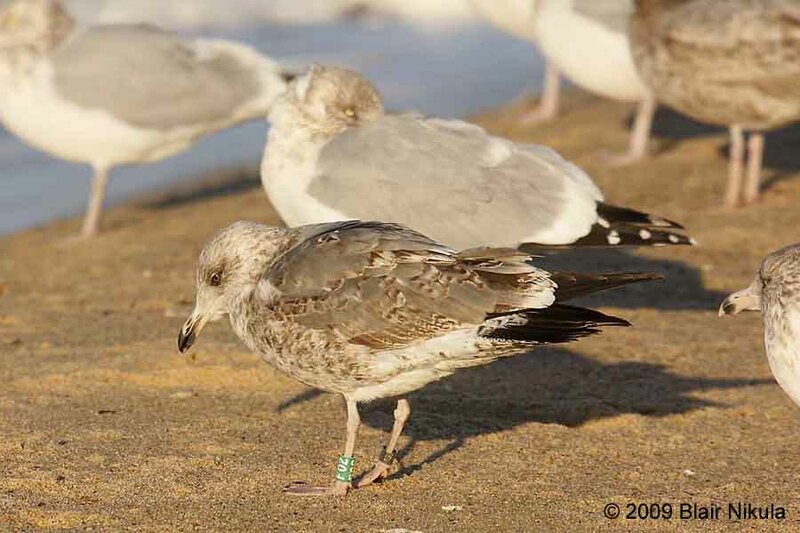 No adult LBBGs were found as is expected in the summer months. 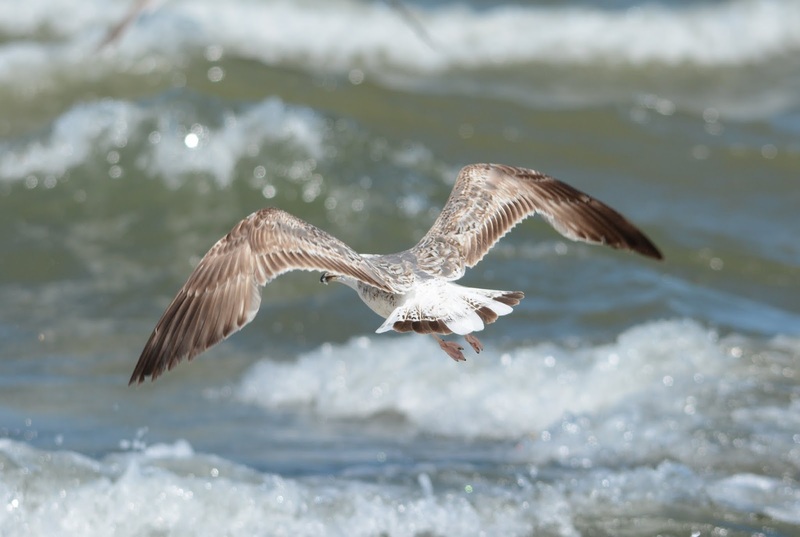 Lesser Black-backed Gull (1st cycle). Sheboygan, WI. 08 June 2014. Ethan quickly picked out this bleached Thayer's/Kumlien's type off the Municipal Beach that is just north of Deland Park. 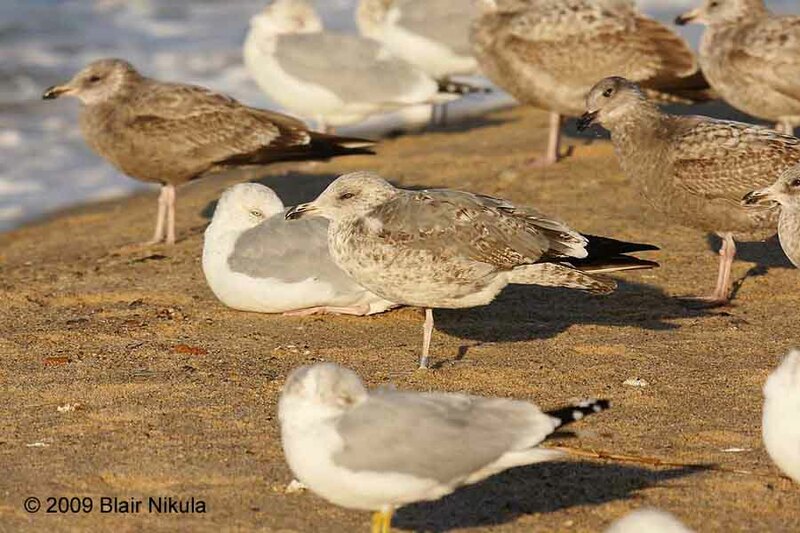 This stretch of beach holds hundreds of loafing gulls throughout the summer. 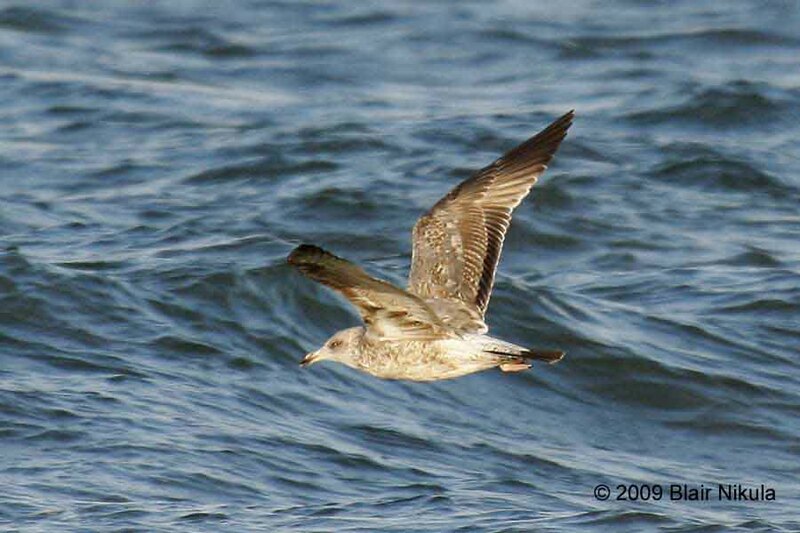 Likely a Thayer's Gull (1st cycle). 08 June 2014. Sheboygan, WI. We finished the day off at Port Washington where we picked up an adult Laughing Gull and a 3rd cycle Lesser Black-backed. We tried chumming this bird but to no avail. It's amazing to see what little interest the Ring-billeds and Herrings show in handouts here - much different than birds found in the inner-city. Subject bird, lower right, sitting on nest. East Chicago, Indiana. 01 June 2014. Note the large mirrors on both outer primaries and gray inner webs to P7-P9. Showing a pseudo-thayeri pattern, this bird's outer primaries are atypical for breeding Great Lakes Herrings. 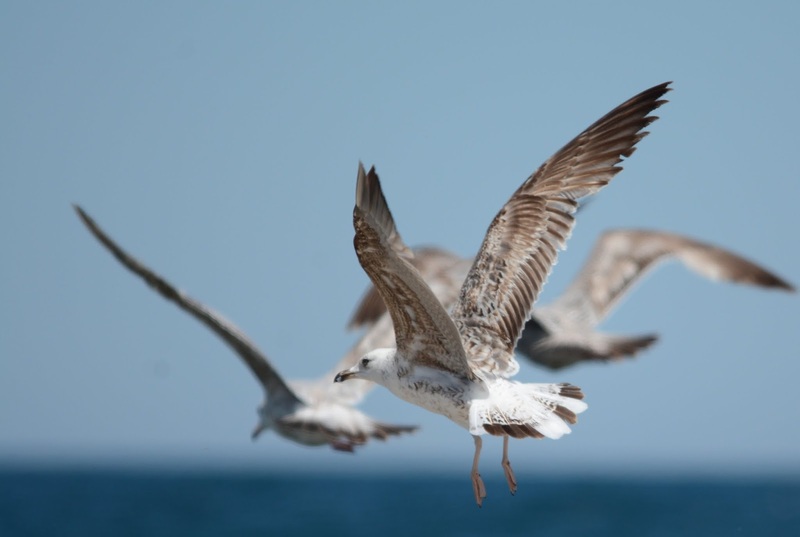 American Herring Gulls exhibit a tremendous amount of variation, particularly in their wingtip patterns. Generally speaking, "western" birds show more extensive black in the outer primaries and more often show a single mirror on the outermost primary. It's also thought that these birds are overall smaller. "Eastern" adults tend to show less black on the outer primaries, average two mirrors, and are thought to be bigger-bodied. 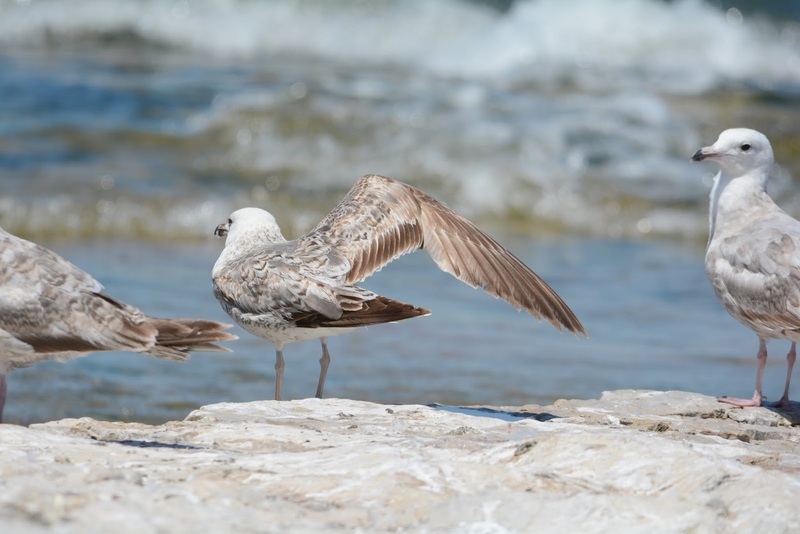 Some of this geographic variation was briefly touched on by Mactavish and Jonnson (Birder's Journal, 2000), but the comparisons made were between so-called Newfoundland birds and Great Lakes birds. The samples were quite small and no in-hand measurements were made. In short, the paper was non-exhaustive, and many of the notes come from wintering birds. "If you go north and east from the Great Lakes, where do you think the morphology changes from Great Lakes birds to Eastern/Northern birds? Is it a gradual shift, or do you think there are major breaks somewhere? Where hypothetically are these breaks? Shift from forest breeders to tundra breeders in the north? " Admittedly, very little has been published on what North American Herrings look like at their breeding colonies throughout the continent. 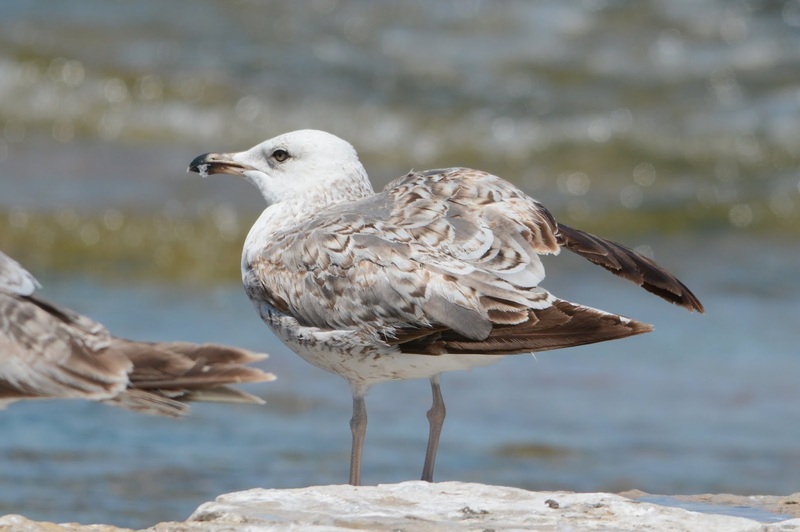 This is a longterm project for anyone who is eager to contribute information on the most widespread, large white-headed, pink-legged, gull species in North America. After seeing this individual, I've begun to rethink what so-called Great Lakes birds really look like. Although this individual is certainly out of the ordinary for us down here, I'm wondering if there are more birds like this nesting on the Great Lakes. Perhaps it's time to closely scrutinize these breeders. The most difficult questions to answer will be, 1) Are mirrors age/gender related, or, are there truly differences from east/west and north/south? 2) Is the amount of black in the wingtip age/gender related, or, are there truly differences from east/west and north/south? These questions are nearly impossible to answer without study of, and monitoring of, birds banded as pullus. Other important details that can be sorted out with time, are vocalization differences and morphometrics. Nest of Northern-type American Herring. 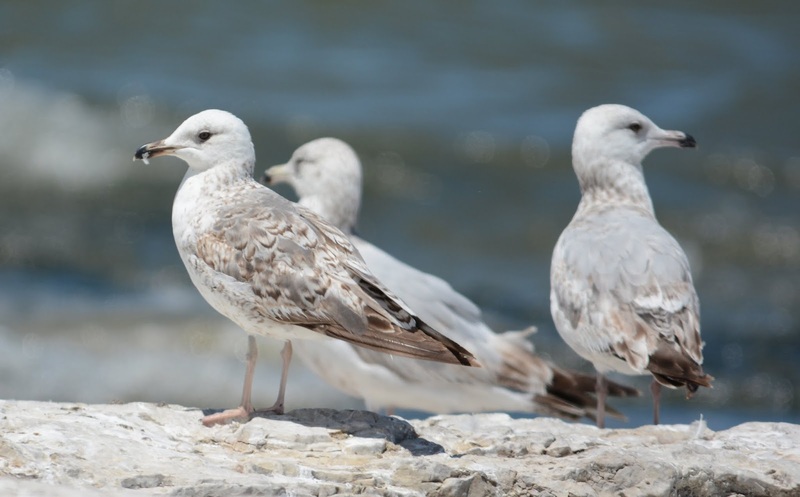 Describing what various populations of American Herring Gulls look like can be done, but it will take effort. It's my hope that bird banders consider using large, color, bands; Many biologists and ornithologists have already begun using these in North America but we have a long way to go. Also, methodically photographing these birds where they're nesting is just as important. A database of photos should be compiled, and an "average archetype" from each participating region should be suggested and put to the test. As always, I welcome your thoughts and comments! Thanks.